Are you wanting to get rid of deer wreaking havoc on your garden? With their natural habitat dwindling due to development, deer often wander into our yards and gardens looking for food. Some damage to plants in areas shared by people and deer is to be expected, but you can avoid, or at least minimize, deer conflicts with easily implemented solutions. 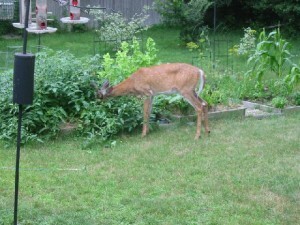 Destruction of habitat forces deer to look for food in your vegetable garden. Look for lists of plants that deer do not like or that are somewhat resistant to deer browsing. Lists are available from state cooperative extension offices and local native plant societies. Placement of plants can also lessen damage. Place tempting plants closer to your house, where deer are less likely to venture, and tougher, less tempting plants at the outer edges. While you’re waiting for natural vegetation to green up in the spring, add plant covers or protective netting over plants to keep them from being eaten. 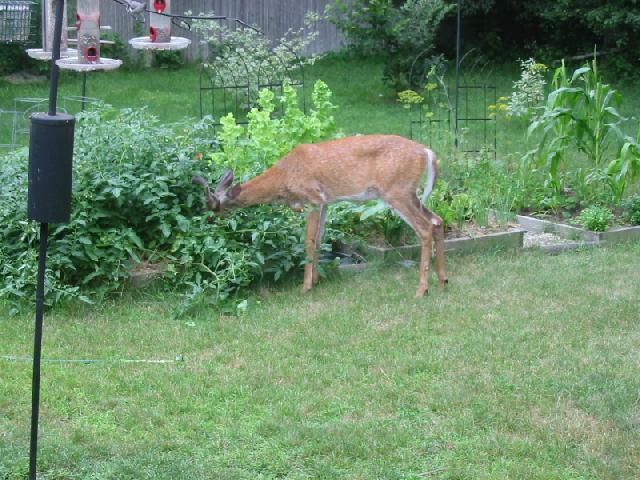 Consider adding deer-proof fencing around your garden (see Protective fences below). Apply a good repellent to affected plants if the browsing is mild. Observe what is and isn’t working, and compare notes with neighbors to decide what is best for your specific setting. Fencing is often the best long-term solution in settings where deer browsing is serious or fairly constant. There are many fencing options, so it makes sense to check with your cooperative extension office or local wildlife specialists on what is likely to work best in your specific situation. In places where children and pets are not playing, a single-strand electric fence placed two and half feet off the ground can be effective. There are also 5, 7, and 9 wire electric fences. Using tempting bait on an electric fence, such as peanut butter smeared on aluminum foil and folded onto the wire, helps ensure that deer get the message. The deer licks the bait and gets a quick lesson—in the form of a shock—that the area should be avoided. It’s important to maintain electric fences, including regular voltage checks and ensuring that overgrown grasses don’t short out lower wires. Other types of fences, such as woven wire fences, need to be at least eight feet high to keep out hungry deer—in some situations, even higher. Such a fence will last 20 or more years, though, so it can be a wise and practical investment. Trees, too, can be protected from deer, particularly the “buck rubs” that occur in fall. Corrugated plastic sleeves or hardware cloth can be placed around the trunks of valuable trees. Plastic or hardware cloth cylinders can shelter young saplings until they are 4-5 feet tall. Mesh netting can be draped over low-growing plantings, or you can make a protective cover with chicken wire or hardware cloth. As birds can sometimes become entangled in the mesh netting, the hardware cloth may be the better choice. Try commercial repellents which deter deer with unpleasant tastes, digestive discomfort, irritation of the eyes, nose, or mucous membranes, and sulfurous odors that they associate with predators. Examples of this type of product include Liquid Fence, Bobbex, and Deer Away Big Game Repellent. To see what is working best in your area, check with your local nursery, farm supply, or hardware store. Hang bars of soap on trees and shrubs you want to protect (Irish Spring and other brands with a lot of tallow fatty acid are ideal for this). Keep deer wary by moving things around and varying the products you use. Reapply products every two or three weeks and again after heavy rain. Don’t purchase predator urines sold as a deer repellent. They are not particularly effective, and they are sourced from places where animals are kept in terribly inhumane conditions and then killed for their fur. The Scarecrow Motion®-Activated Sprinkler—deer are sprayed with a sharp burst of water when they come into motion-detecting range. The Havahart Spray-Away Elite Motion Detector—deer are startled in a similar way, but it is solar powered and uses infrared technology for detecting movement. The Havahart 5250 Electronic Deer Repellent—deer are attracted to a scent lure and receive a mild electric shock upon touching it. The Deer Shield Electronic Deer Guard—deer are given the hint to go elsewhere by the sound of other deer—on varied digital recordings—giving calls of alarm or territoriality. 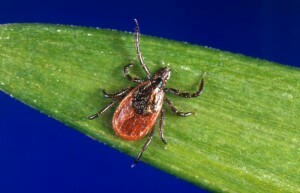 The black-legged tick carries Lyme disease. Killing deer cannot protect people from contracting Lyme disease. As studies have shown, killing deer does nothing to reduce the population of disease-causing ticks—they simply use one of their many other hosts. Closely cropped lawns contain fewer ticks. Mowing the lawn, removing debris piles, and other thick vegetative cover will discourage mice and cut down on the number of ticks. When planning to be in grassy areas, wear light-colored clothing, so ticks attempting to attach will be easy to see and remove. Tuck in your shirt and tuck pant cuffs into socks, making access to your skin more difficult for ticks. Wear tick repellent products on your skin. Check yourself and family members for ticks after being outside. Consult a doctor right away if signs of Lyme disease occur or if the characteristic “bulls-eye” rash appears on your body. Find additional information about Lyme disease prevention at Centers for Disease Control and Prevention. A promising tool for reducing tick numbers is the 4-poster bait box system. This is a corn bait station that attracts deer, and then, as they feed, applies a tick-killing product to their necks and shoulders. The 4-poster bait box has been extensively tested and found to be effective; in fact, one station protects 50 acres. 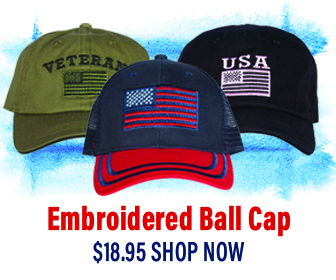 They are available to use in the U.S., but a special license is required to use them. While they are not intended for the average homeowner’s property, they can provide effective treatment for natural areas being managed in and around developments, augmenting individual homeowner efforts.